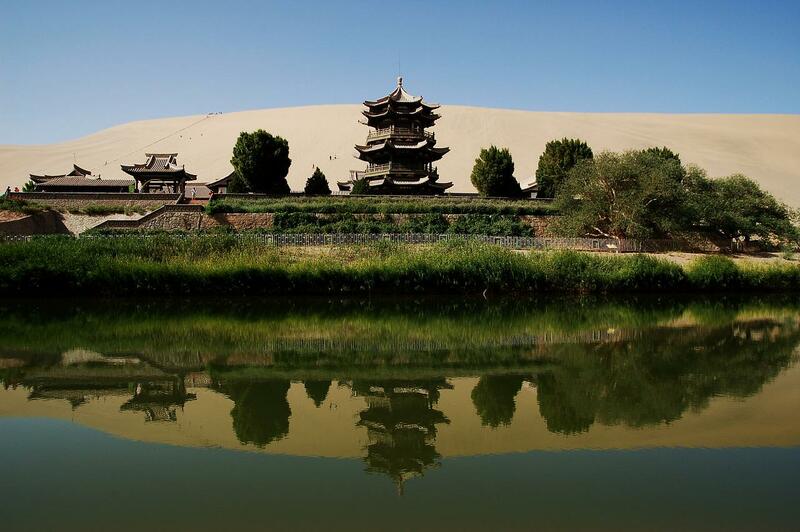 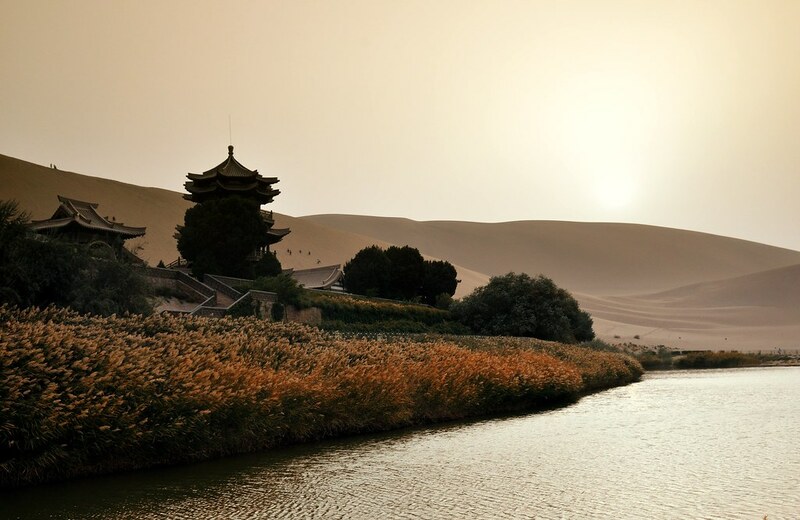 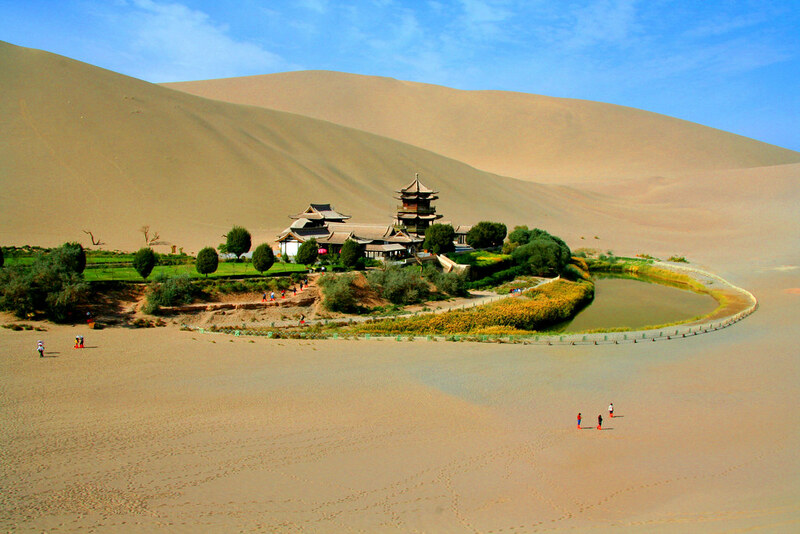 Located approximately 6 km (3.73 miles) from the outskirts of the city of Dunhuang in Western China, lies Crescent Lake, an incredible oasis in the Gobi desert. 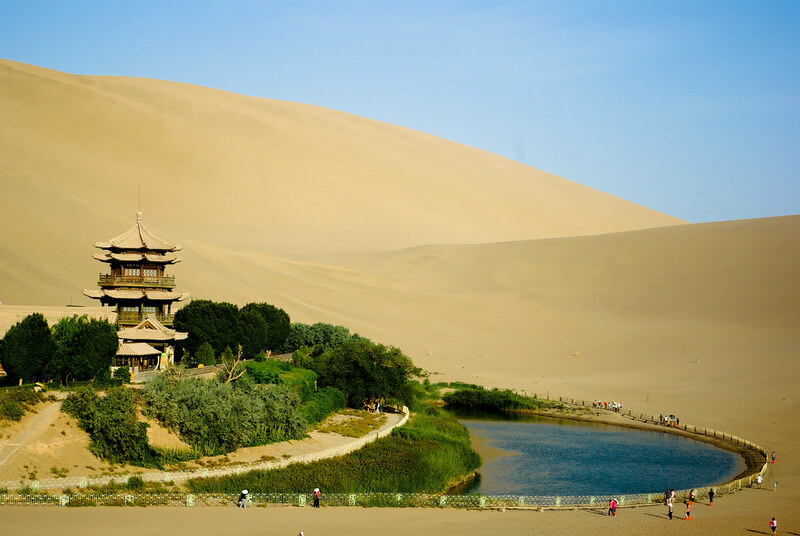 Known as Yueyaquan in Chinese, the crescent-shaped lake is a major tourist attraction where one of the world’s great shrines to Buddhism resides. 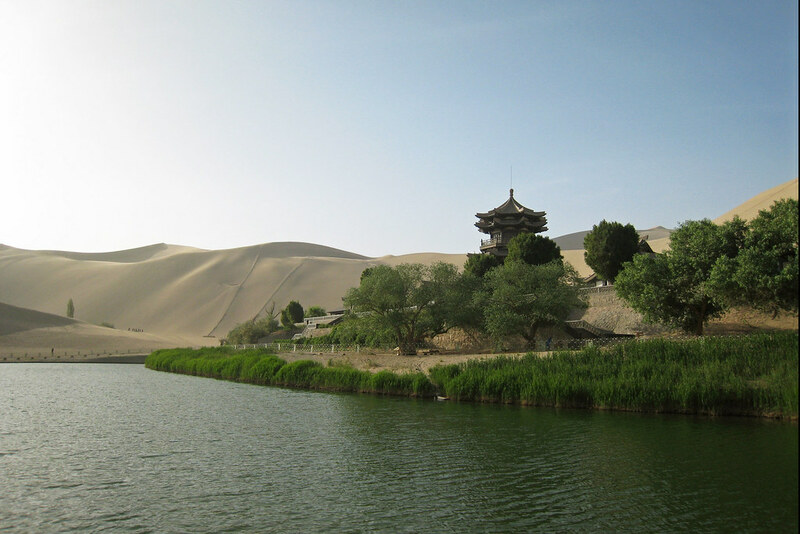 Designated a World Heritage Site, the lake has been shrinking since the 1970s and is now about a third of its original size. 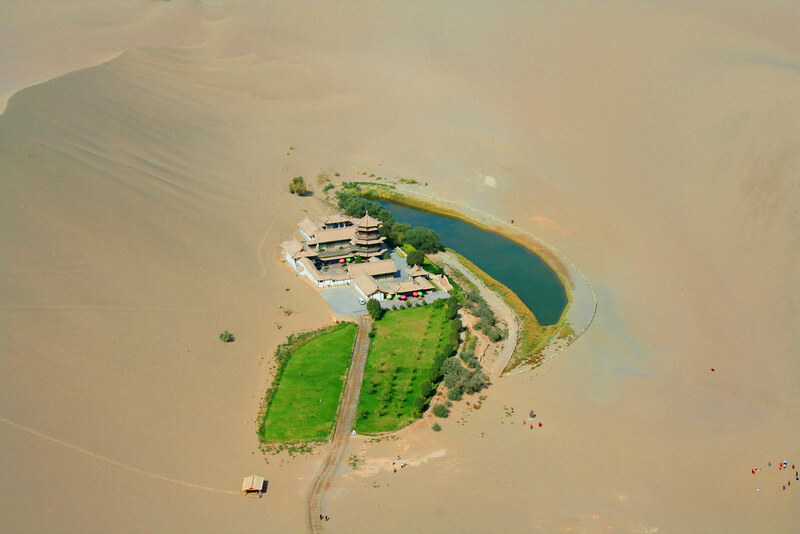 In the last three decades alone, the lake has dropped more than 25 feet. 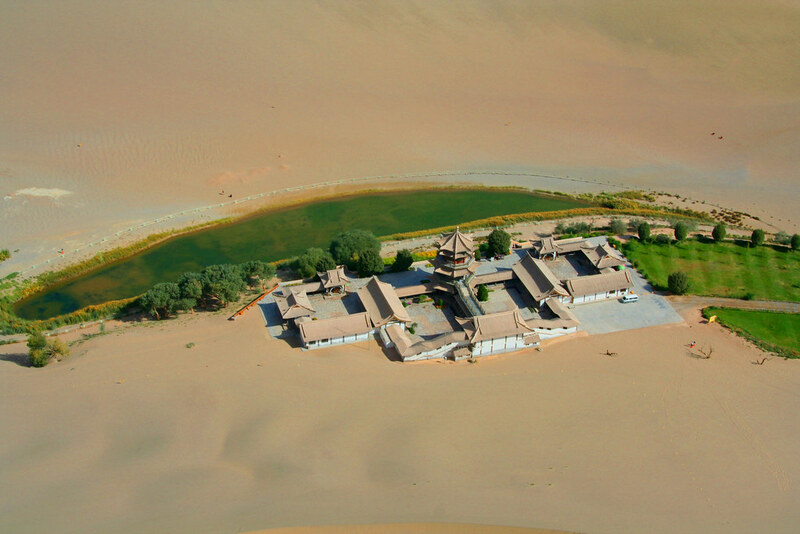 However, it has been reported that the government has recently taken steps to preserve the site and restore the depth of the lake to previous levels (unsure how well that initiative is going though). 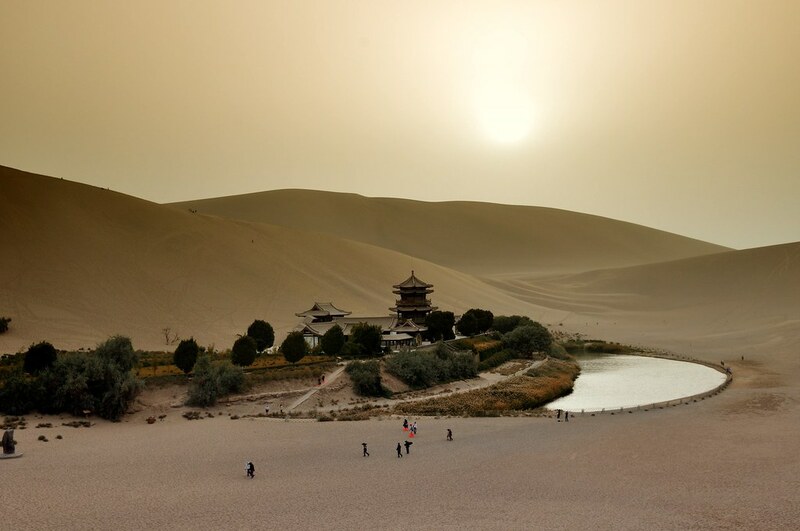 In the photographs below you will see both aerials and closeups of this incredible desert jewel. 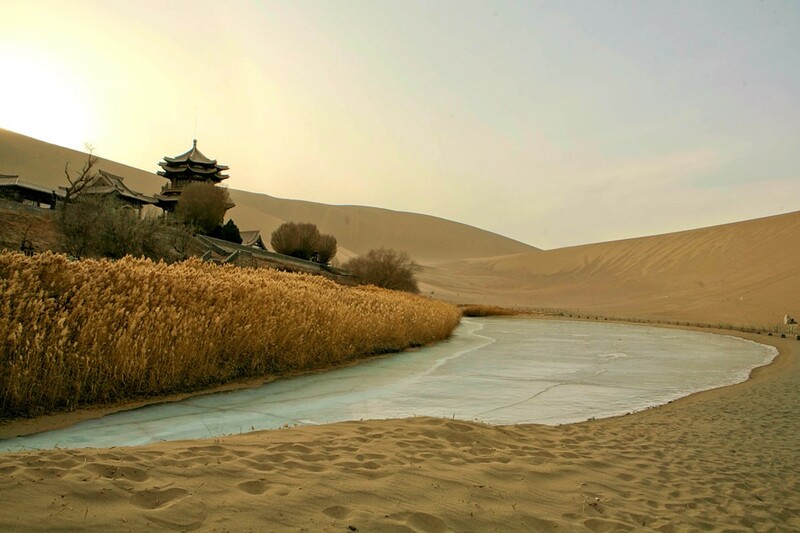 Let’s hope the lake doesn’t dry up and can be enjoyed by many future generations to come.